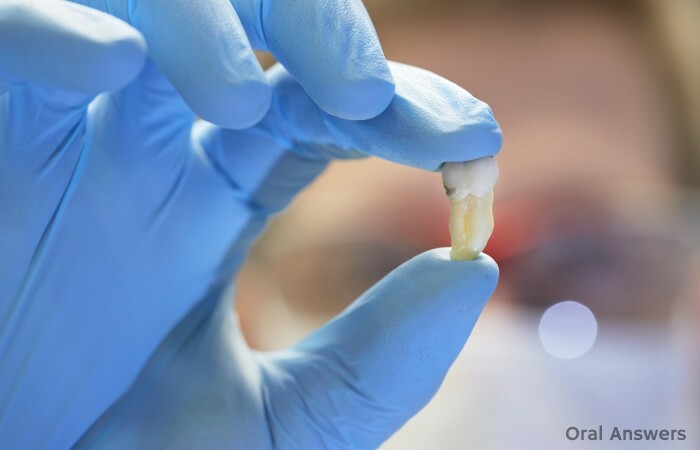 Have you ever wondered what happens to your tooth after it is extracted by your dentist? Surprisingly, it’s not so cut-and-dry. When a tooth is removed, there’s not really one specific place it goes. Some methods of disposal cost the dentist money, others result in a small profit for the dentist, and others are just a little weird. Read on to find out what happens to extracted teeth. Find out what’s in an amalgam filling. The dental scrap metal industry is not well-known. 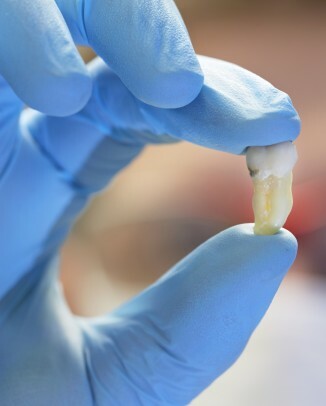 If your tooth had a lab-made restoration on it, your dentist may very well save it and ship it off to a scrap metal dealer who will melt down the metal, assay it, and cut your dentist a check. 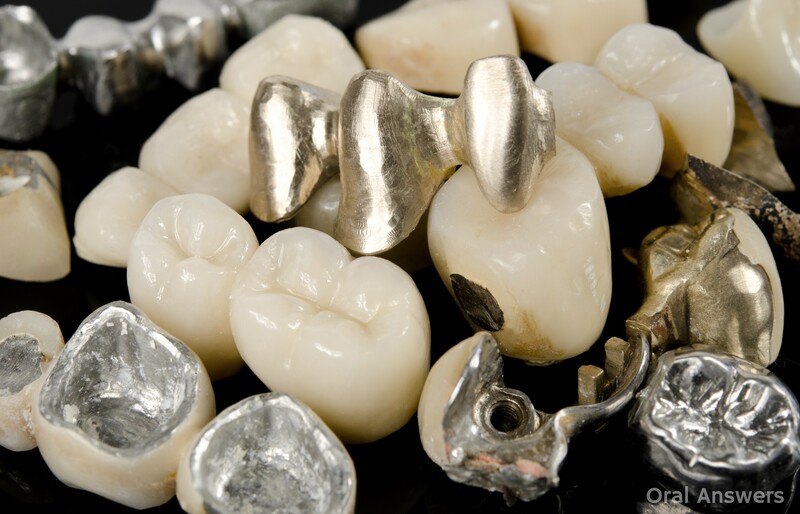 A simple Google search for “dental scrap metal refiner” or a quick browse through professional dental journals will reveal many advertisements for companies that make their money from buying metal that used to be in someone’s mouth. This Sun-Sentinel article tells the story of Michael Kutschmende, a man with cerebral palsy who had four gold teeth extracted at the dental office. His dentist refused to give them back. This article exposes the world of dental scrap metal recycling and how dentists can profit from extracted teeth. Below is an interesting video from the company Crown Men that details the process of getting valuable metal from restorations on extracted teeth. If you head over to their website, you can read testimonials from dentists who have received a free iPod Touch along with a check after their first time using the service. Although some dentists believe otherwise, there are no regulations prohibiting a dentist from giving patients back their teeth following extractions. The American Dental Association, the Centers for Disease Control and Prevention (CDC), and the Occupational Safety and Health Administration (OSHA) all give this practice a green light. However, many dentists do not return extracted teeth to patients and it remains a controversial subject. To learn more about this controversy and to find out what some patients do with their extracted teeth, read the post Can You Keep Your Extracted Teeth? Some teeth end up being donated to universities. 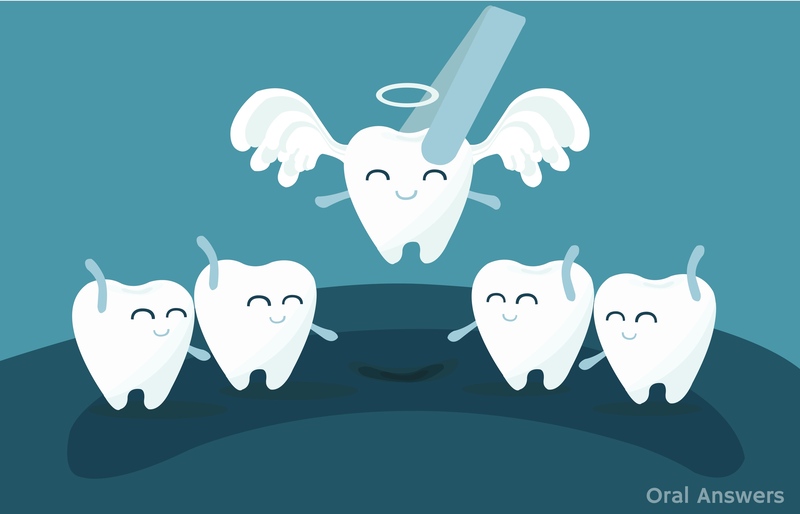 Many dentists save extracted teeth so that they can be donated to a university and used by dental students for their learning. In the summer between earning my business degree and going to dental school, I dropped off several empty jars at local oral surgeons’ offices. They kindly filled them with extracted teeth that I used in learning how to work on human teeth. While in dental school I wrote a post about how a chipped tooth can be fixed with a filling. I used an extracted tooth for that project! Extracted teeth aren’t just used by dental students to further their learning. Dentists use them as well for continuing education; some continuing education courses require that a dentist bring extracted teeth to the course so they can practice on them. I went to a thrilling course on how to do better root canals and took a few extracted teeth in order to practice the new techniques that were taught. 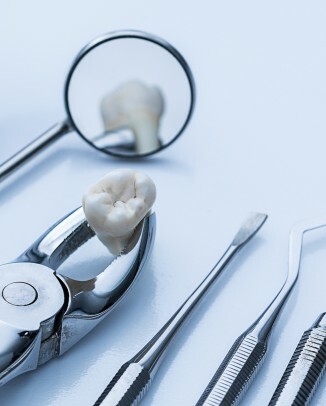 Dental companies are always performing research to determine the best way to bond fillings and crowns to teeth, how to make teeth more resistant to cavities, how teeth react to different forces, and many other things. 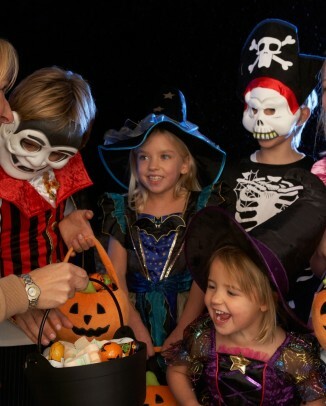 When figuring out how to improve their tooth-related product, real teeth work best. This is probably the least likely path that an extracted tooth takes. It requires that the patient be famous. Dr. Bill Dorfman, the dentist that was on the TV show Extreme Makeover, has bragged to TMZ that he saves his famous patients’ teeth when he pulls them. He may be able to get a pretty good price on eBay for a celebrity’s tooth, but it seems likely a lawsuit would follow in order to determine who is rightfully entitled to the cash. 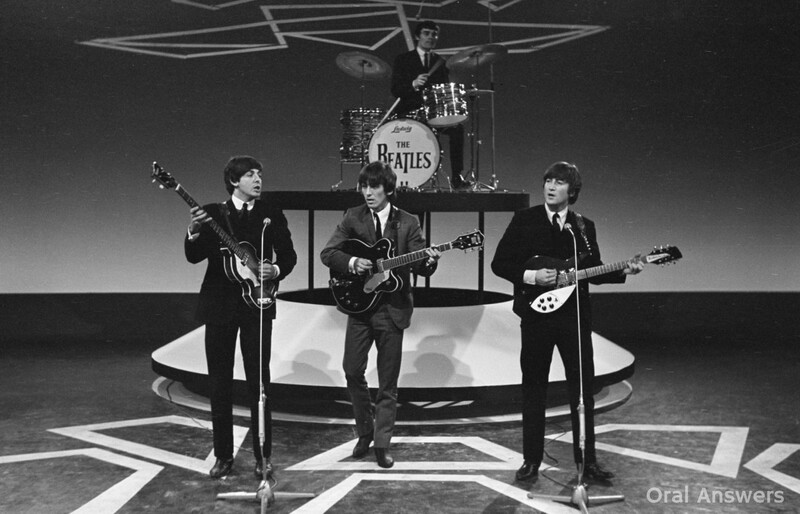 Back in 2011, an interesting piece of Beatles memorabilia went on the auction block. John Lennon’s tooth was acquired by Canadian dentist Dr. Michael Zuk, who said he was obsessed with it. He ended up paying over $30,000 for it; a sum that makes the tooth fairy want to bury her head in shame. In one article, Dr. Michael Zuk said that he plans on taking the tooth on tour, to be shown off at dental schools worldwide. He also alluded to the fact that we may be able to someday clone John Lennon, since the nerve on the inside of the tooth contains John Lennon’s DNA. Who knows, maybe Taylor Swift’s wisdom teeth are hidden away in somebody’s attic awaiting the auction house at some future date! Painless Parker was a dentist who practiced around 100 years ago. He once pulled 357 teeth in one day and then had them strung as a necklace that he wore around his neck. He also had a bucket of teeth he’d extracted that he brought with him when he lectured on dental hygiene. That bucket of teeth can be seen today at Temple University’s dental history museum. Although this likely wouldn’t happen today in the United States, there are dentists in other countries who still show off the teeth that they have removed. 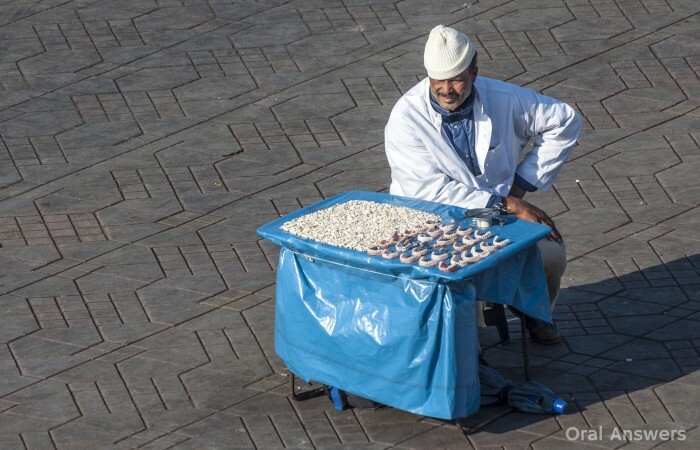 Below is a street dentist in Morocco, showing off the teeth he’s pulled, and the dentures that he’s ready to put in his next patient’s mouth. As you can see, there most assuredly is life after death for your pearly whites. There are many paths a tooth can take out of the dental office. 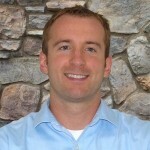 Do you have any questions or comments regarding the wild world of extracted teeth? Did I miss anything? I’d love to hear what you have to say in the comments section below. Thanks for reading! Actually I was wondering about the whole cavity thing I just recently got my braces off and I had gotten 4 cavities! Is this normall? Yeah, that’s pretty normal considering that braces make it difficult to clean your teeth, as well as eroding material (soda, sugary food) being pretty popular amongst young adults, teens, preteens, etc. Same thing happened to me, but it’s nothing to worry about. They will fill it in and clean it and then you will be good as new. Just make sure that you don’t wait until it causes you incredible pain. That’s when there is no saving it. Also make sure that you regularly visit your doctor for cleaning. Dear Doc: I read your article, and there is one thing missing I learned a long time ago. My mother, when she was single dated a mortician. I believe she told me he said that “Undertakers” remove the metals (gold and silver) from the deceased. Wow, isn’t that something. Also, on a preventive note, I’d like to share something I learned many years ago when I trained as a dental assistant. That s what causes and how to prevent cavities. When you retain sugar or carbs in your mouth, your saliva (lactobacilli) turn into lactic acid. It is this acid that eats the enamel off your teeth. The longer you retain the sugar/carbs in your mouth, the more times this acidic reaction will take place. One way to minimize the damage is to simply take a sip of water, swish it around and swallow. This will dilute the acidic reaction in your mouth. Why don’t dentists teach their patients this? Also, the sugar can be from fruit, not just candy. Also some people have a higher or lower Ph in their saliva, and that’s why some patients get more cavities than others. It’s what you’re born with in the chemistry of your saliva. I hope this note helps to educate those who are uninformed. Thanks for saying this, it sounds like this should be common knowledge! Hi Lola, you are right that lactobacilli is involved in tooth decay. But itslactobacilli that is responsible for tooth decay. There is another organism named Streptococcus mutans which actually is responsie for initiating the decay while lactobacilli progesses the decay process. Hi Lola, you are right that lactobacilli is involved in tooth decay. But its not lactobacilli that is responsible for tooth decay. There is another organism named Streptococcus mutans which actually is responsible for initiating the decay while lactobacilli progesses the decay process. Interesting post. I think it’s especially enlightening to those who may be considering dentistry as a potential career opportunity. This is a perfect example showing one (of thousands) of the small details that go into running a practice. Good stuff! You are so wise Tom 😉 I thought you would be happy to know that I just asked google a Q and the #1 response was Oral Answers! This was actually more intersting than I though it would be, I never though about where extracted teeth go, I figured they were just thrown in the trash can. Is there a law preventing dentists from doing this? Also if you lose a tooth at home, you just put it in the trash, why do dentists have to incinerate the teeth? Thanks for sharing this. I had no idea that metal used for the tooth previous to the extraction could be recycled. That’s a pretty nice thing, especially since it means that dentists aren’t being wasteful with the disposal of the tooth. In fact, I wonder if the extracted teeth will also be recyclable once we have the technology to actually do so? Pretty amazing info! Dental scrap metal industry, fairly good to know going forward. Being technical, where they are used is well understood, but non-technically, where they are going is not well known. Appreciate! It’s good to know the real facts. I always imagined the dentist’s took them home, put them under their pillow and waited for the tooth fairy to cough up the money. Thanks for putting me straight, interesting article. I had no idea that teeth could go so many directions after being pulled. I guess I’ve had a few teeth get picked up by medical waste removal companies in the past! It’s good to know that they can go to serve other purposes though. Thanks for sharing this. Pretty soon, I’m going to either get a root canal or replace the tooth with a dental implant, so I was wondering about this! It is so interesting how many things might happen to a pulled tooth. Recycling the fillings for the metal is a really good idea. I bet they end up pulling a lot of teeth with metal that can be reused. Thanks for the information! I always wondered what happened to my teeth after they were removed when I would go to the dentist as a kid. When I was six, I really wanted to keep one of my extracted teeth, but I was all numbed up and sore before I could ask. It seems best knowing as an adult that the most likely thing that would happen to my teeth is that they would end up being incinerated with biomedical waste or used for educational purposes. I’m glad that I know that now so that I won’t have to wonder if I ever need another tooth extracted. Will a dentist give extracted teeth to a local artist working on a project? Will a dentist give extracted teeth to a local artist working on a project??? Hi:-) its been three years since I got my braces, I don`t know why my teeth seems not cooperating but anyway, over almost two or so of wearing it I had loose brackets and my dentist did not put them back on, she just cut my wire shorter just so it ends to wear my last bracket in my upper teeth end. In the current i have already four brackets off but none of them was placed back on to where it normally was, what should I do? It was really interesting reading through all of the uses for teeth after they are extracted. Specifically, you talk about how they are used for educational purposes and can be donated to a university and used by dental students. Do you have to go to specific types of dentists for this option or do a lot of general dentists do this service? Thanks for the help and insight! Thanks for this occasionally terrifying article! My parents haven’t had teeth of their own for some time. After their dental procedure, however, I didn’t really consider that someone might be wearing their teeth on a necklace or holding on to them, waiting to clone them. I’m honestly not sure which option is more unsettling. In any case, thanks for an interesting read. Its so shocking.. Never thought about this. I was actually wondering what happens to it biologically? Does it disintegrate? If preserved, does the root canals get obliterated, calcified? If so, how do you prevent that? was the tooth in the picture a baby tooth or permanent tooth? it looks like the tooth i recently lost and im worried i lost a permanent tooth. Can you explain why even though there is no laws prohibiting certain dentists from giving one back there tooth, some dentist act like they just had to keep it, and would beat around the bushes with an uncertain to the patient reason as to why they must keep it. Seems to me, you have to be a little kid to get that tooth back to put under your pillow:). Reason being, i recently had a tooth(13), extracted by an oral surgeon. A good tooth that had broken in half at the interior gum line of my mouth. As to anyone looking at my smile, everything looked okay, but the inside was wack, you know. Surely,you’ve seen a few of those! My maternal grandmother once told me that my grandfather had a real bad toothache for months in one of his back molar (?). When he finally had the tooth extracted, he took it home and at the dinner table, got a claw hammer, and pounded that tooth to a fine powder, quoting the words, ” you son of a b****, you ain’t hurting/paining me anymore”. Now how does that oral surgeon that extracted my tooth not know that I might have wanted to continue that same family trend or put it under my pillow? Can’t you get stem cells from the DNA out of teeth? All points are good and well explained. This article is very interesting for those who want to know about “What happens to your teeth after it’s extracted”. My dentist told me it was illegal for me to take home my extracted wisdoms teeth, and when asked why changed the subject. How can something I spent years walking around with attached to my body(was genetically born with) be illegal?!? I think when asked dentist should legally have to state what will be fine with the tooth after. I get if they are incinerated after a cavity or infection, that’s just going to lead to bad news left unchecked but still nothing wrong with the tooth and I couldn’t take it home to show my cousin that it’s not that bad. Also I had no bad teeth but the dentist did such a bad job the tooth was cracked and then the other one he pulled out(both wisdom teeth on the right side) became infected. I didn’t eat anything or brush my teeth for 24 hours after and only drank bottled water without contaminants. Could this be due to bad procedures or unsanitary tools? He pulled my top tooth then went to deal with another patients tooth then came back and pulled my second tooth which game him a lot of trouble considering the top came out in a matter of seconds and the bottom took nearly 20-30 minutes of working on and several times of re-numbing. I’m on day 4 and have already had to go to urgent Care due to not being able to get inclination to go down even with icing, heating and anti inflammatories. They also called me and said their after extraction x-ray seemed a bit off and that after they take out my stitches I should go get my jaw xrayed. Is it typical to use a bone saw? Looking at my teeth after they seemed to have cut a while section of gum around the tooth(perfectly around the top) which doesn’t seem standard to me. And used the same saw after the tooth was out without telling me why even after I was all done and asked. I left with more questions then I went into the procedure with and have no way of making the pain go away enough to sleep or eat anything but broth and otter pops as I can’t even open my jaw past an inch and the inside of my lip was sewn to my gum so talking isn’t much of a tool to communicate right now. Does anyone have any advice? It is really amazing all the different directions I tooth may travel when extracted. I always thaught that dentist just simply dispose of them in the trash bin. Very interesting information! I had a tooth pulled by an oral surgeon in a small town in Northwest Macomb County. When I asked for the gold capped tooth, he said that he is not allowed to give it to me. When I challenged him he told me to get out of his office. Needless to say I I changed Dentists and told everyone about the Oral Surgeon. He closed his practice a few months later. I DO have one good question! When you keep an extracted tooth, is there any way that you could have this tooth examined by a lab or doctor’s office to find any evidence or traces of disease/cancer?